Whether whispered or shouted, the name Hāloa tells a story of connection between all Hawaiians, and a story of connection between Spirit, people and nature. As Hawaiians, we are one with Hāloa, we are one with kalo. May this ever be so. Wākea - Father Sky, and Papahānaumoku - Mother Earth, creators of our beloved island chain home, had a beautiful daughter named Ho’ohōkūlani, whose name means "the making of the stars in the heavens". Wākea and Ho’ohōkūlani together conceived a child, and the family patiently awaited the birth. Can you imagine their sadness when this child was stillborn? This child, a son, was named Hāloa which means long, far reaching breath. The kūpuna, the elders, whispered, "The child looks like a root." The family wrapped Hāloa in kapa, placed him in a woven lauhala basket, and buried him in the ‘āina. Ho’ohōkūlani grieved the loss of her son, crying, wailing, mourning, she watered the grave with her tears. In time, a plant grew from the grave site. 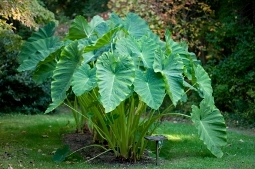 This unknown plant was fragile and tender yet also healthy and strong, far reaching and long. Lau kapalili: Tremble leaf. Lau kapalala: broad leaf. The stems were slender and when the wind blew, they swayed and bowed, as though paying homage, their heart shaped leaves shivering gracefully as though dancing hula. And in the center of each leaf there gathered a drop of water, like a mother’s tear. This plant grew well and when it matured it produced corms called ‘oha. ‘Oha are carefully harvested and replanted to seed the next generation. 'Oha is the root of our Hawaiian word for family, 'ohana. Thus, our identification of our human families with kalo plants and their offspring is embedded within our rich language. Ho’ohōkūlani conceived again and gave birth to a second son, named Hāloa after her first, stillborn son. Her second child was strong and healthy in every way. Hāloa Naka, her first son, became the first kalo plant, and the respected sibling and elder brother of her second son, who was the first kanaka, human being. We humans are members of a widespread and wondrous family, with Spirit as our parents, and Nature as our elder sibling. 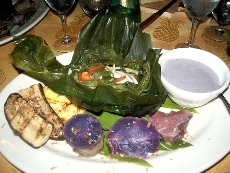 And kalo, of course, is one of our traditional foods. A primal and sacred bond connects us with our universe, with nature, with our land and with our sea. Nature is where it all begins, so we call ourselves "keiki o ka ‘āina", "children of the land." The ‘āina is a heart matter for us. We are siblings with nature, born to the same parents at the start of time. Daniel Anthony pounding kalo to make poi - see related note at bottom of page. 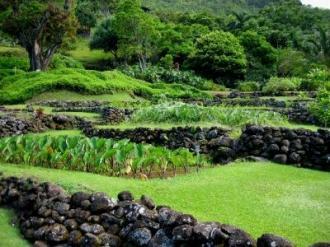 The Hawaiian word ‘āina, land, means "that which feeds". Maka‘āinana, the term for common people, means "eyes of the land". Thus, nature nourishes and sustains us, and we watch over and tend our earthly home. Nature provides our every need: our food, our shelter, our clothing, our tools, our toys, our modes of transportation, our energy. Everything we eat, wear and craft is made from plants, animals and minerals. We depend on nature: let us all together revere and respect her. Let us malama pono i ka ‘āina: take good care of the land. May people, nature and Spirit live together always in lōkahi, harmony. 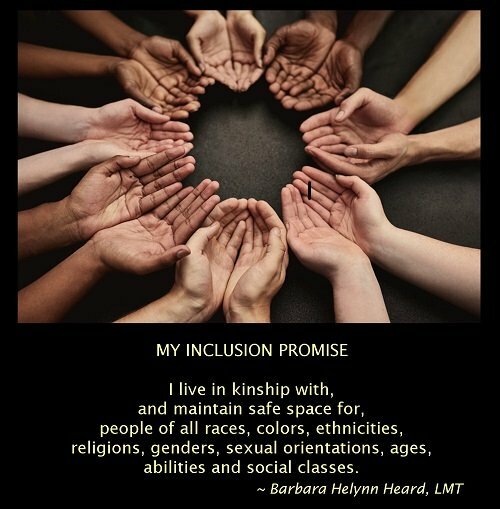 This story is an interweaving of information from Kupuna Wisdom: Kupuna Whispers, from the Surfing for Life website, and from other tellings of this traditional story, and was compiled by Barbara Helynn Heard. Photo note: Daniel Anthony pictured above pounding kalo into poi owns Mana'ai, a small business on O'ahu which produces poi manually - all hand pounded. He and his family are on a mission to encourage and empower others to return Hāloa back into their home. Please visit their website at www.manaai.com.